Dallas Fan Days brings together thousands of Texans for one of the most coveted fan events of the year. 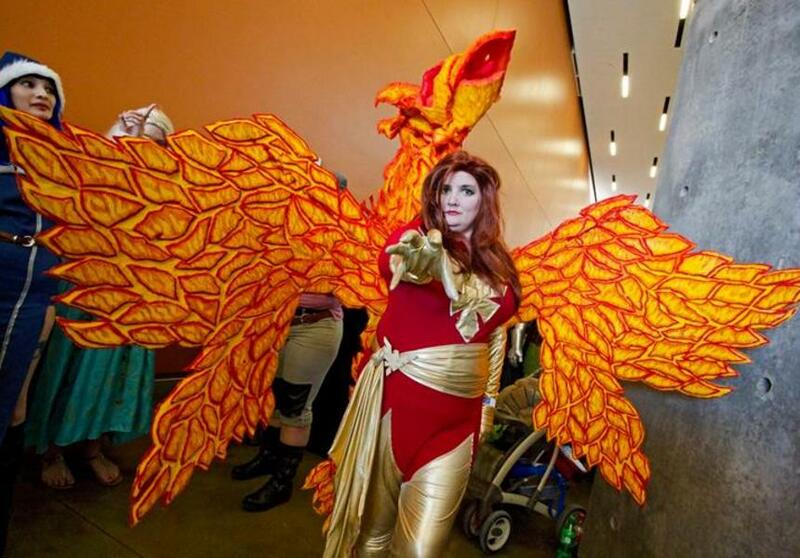 From October 19 through October 21, comics, sci-fi, horror, anime, and gaming fans will gather to celebrate their love of all things fiction and fantasy at this Dallas Comic Con, the largest fan event in Texas. Held at the Irving Convention Center, the event will include panels with celebrities, voice actors, anime superstars, comic book creators, cosplayers, internet celebrities, and sci-fi, horror, and gaming personalities. Guests can watch cosplay contests, gaming competitions, and more. This year’s celebrity guests include Bret Hart, Jaleel White, Matt Smith, Karl Urban, Jennifer Morrison, Ray Park, Kristy Swanson, Kevin Sorbo, Corbin Bernsen, John De Lancie, Jason David Frank, and Breckin Meyer. Don’t miss comic creators such as Pat Broderick, Dave Dorman, and Scott Hepburn and artists like Sam De La Rosa, Ryan Kincaid, and Lawrence Reynolds. Dallas Fan Days is an excellent event for the whole family. Kids love the chance to meet superheroes and princesses, and there are costume contests the whole family can enter. The Kids Costume Contest allows children aged 12 and under to show off their costumes for a chance to receive some great prizes. Throughout the weekend, don’t miss the opportunity to load up on some of your favorite fan gear. You can grab comic books from any era, original artwork, graphic novels, memorabilia, DVDs, videos, games, toys, T-shirts, and so much more. A costume contest that allows creative fans to showcase original costumes derived from the comic, sci-fi, horror, anime, and fantasy worlds on stage. Harry Potter Escape Rooms where you can go through one of two escape room scenarios inspired by the magical world of Harry Potter. Try to escape from a vault in the Wizarding Bank or save New York by figuring out the plot of three rogue witches and wizards. Celebrity photo opportunities where you can get a beautiful 8-by-10-inch glossy photo of yourself with one of the event’s celebrity guests in an intimate setting. A cosplay red carpet where dozens of excellent cosplayers from Texas and beyond can display their costume creations. Photographers are welcome! Autograph sessions with your favorite celebrities. Be sure to check out the schedule so you don’t miss out. An Artist Alley where you will find all of your favorite illustrators, pencillers, inkers, and writers. This is a must-experience area for anyone interested in meeting the rising stars and people who work the front lines of the industry. Here you’ll find it all—comics, graphic novels, limited edition prints and best of all, original art and sketches. Make sure to check the schedule of events online to build the Dallas Fan Days weekend of your dreams!